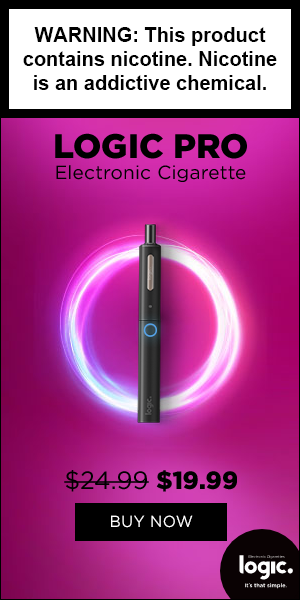 The electronic cigarette (also called e-cigarette or e-cig ) is an electronic device created with the aim of providing an alternative to the consumption of processed tobacco (cigarettes, cigars and pipes) that follows the mimicry and sensory perceptions of these last. The operation involves the inhalation of a solution based on water, propylene glycol, glycerol. It is vaporized by a vaporizer / atomizer , (a device usually a resistor powered by a rechargeable battery). Although there are few official studies on the subject, some distinguished doctors believe that the electronic cigarette is significantly less harmful than any processed tobacco taken by burning. A BIT OF HISTORY: The first real patent dates back to 1965, deposited by the American Herbert A. Gilbert. The first commercial product was marketed in China in Beijing in 2003 using ultrasound technology by Hon Lik, a Chinese pharmacist. Marketed in China by the Golden Dragon Group (Holdings) “, a Chinese pharmaceutical company in Hong Kong, electronic cigarettes have been patented as Ruyan, which means” almost like smoke “. Aromatic yield , that is the integrity, the body and the taste of the aroma of the liquid once vaporized and aspirated. Hit (or blow in the throat), the perception of the vapor that passes into the larynx during inspiration. Hit also depends on the amount of nicotine diluted in the liquid. Smokiness , the quantity and density of vapor generated by the vaporization of the liquid. The smoke depends, in addition to the efficiency of the atomizer, also on the percentage of glycerol in the liquid. Heat , the temperature of the inhaled vapor. 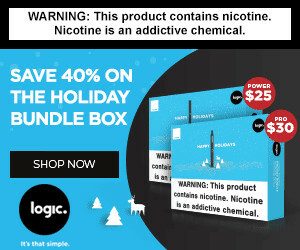 For a moment let us ignore the fact that the FDA itself limits the field of “alert” only to electronic cigarettes that use liquids with nicotine and we leave out for another moment the fact that it is not the electronic cigarette itself that carries these “seizures” but as FDA explains, it is the misuse of nicotine ( see explanation of nicotine and its effects ); then we can deduce by syllogism that the term “electronic cigarette” is used in a totally wrong way. In spite of the international studies that talk about health improvements thanks to electronic cigarettes but above all we increasingly relate to a misuse of the term “electronic cigarette” which should be, as they say more and more doctors and professionals of harm reduction – not last Konstantinos Farsalinos, “personal vaporizer”. Can we therefore create alarmism based on reports? Several possible factors are therefore attributable to this phenomenon, from the concentration of variable nicotine in liquids, the design of the devices that can allow a greater emission of liquid more quickly, the behavior of the users that can increase the inhalation of nicotine compared to a normal cigarette. Some reports would then be attributable to pre-existing pathological conditions, or to the intake of other substances such as cannabis or alterations to the actual use of the electronic cigarette. Moreover, to conclude, it is enough to just see what the FDA itself says in the release, where, the same US government agency, explains that the information currently put in place is limited, there is still no security between a direct relationship between the use of electronic cigarette and this risk reiterating the fact that it is possible that the electronic cigarette itself is not the problem but, as explained above, the nicotine. There are very many web directories that have high rankings on search engines. If you can be able to link with such directories, then you will notice that a good web directory can have good back linking power which can significantly boost your business. Provided you only use a web directory that is of good quality, your efforts will not be trashed by search engines. Simply put, search engines like Google continue to come up with new algorithms that only value quality. Also, this means you should keep off quantity however much you would like to get many links. But how can you get quality web directory links quickly and easily? Come up with a list and make the submissions yourself. Usually, the link submission process is not complicated and you can easily complete submission in five or ten minutes. (That piece of information was not necessary.) You will also be able to choose the web directory to submit to on your own. This happens to be the most powerful way of making submissions to quality web directories which will be highly ranked in major search engines. Finding such directories is very easy ñ a simple search of the same will fetch you the right results. Usually, it will not hurt if you have links in various web directories. Provided you follow the guidelines set by search engines, your links will not be considered as spam. So, you can enjoy a fast way to get web directory links where you can use an automatic tool which will link you with many directories. The only issue you will face if you use this method is that you will end up with both good and bad links. But since you can never know which directory may end up topping search engines next, your website will not be hurt in any way should you use this method. If the whole process seems boring, a little difficult or you lack the time to do it on your own, consider hiring web directory service providers. Usually, these service providers will get you tons of quality directory links and fast as they know how to go about the whole process. Your best move if you opt for this method is to at least find the best service providers who will build you links that look natural. Using a web directory is simple. The directories are usually divided into various sections which you can look at and choose a category based on what you are looking for. Additionally, a web directory usually contains updated information and a summary of what to expect. This can be very effective if you are looking for additional resources from new products and services, properties for sale, or addresses. Basically, web directories allow you to base your search on what you are looking for by making sure all information stored in the databases is grouped in the right categories. indes-magazine is family owned and operated, we are based in the good ol’ Midwest and have been helping thousands of people make the switch since 2010. I give Indes Vape Magazine Ecigarette News and Discussion permission to collect and use my data submitted in this form.